Chakras (pronounced shock'-ruhs, from a Sanskrit word for "wheels") are energy centers in the human body. The sense of movement, flow, is important in thinking about chakras. Life energy is meant to flow freely through us in a whirling, spiraling movement. Understanding chakras can help in connecting physical symptoms or illnesses with a more wholistic — emotional, mental, spiritual -- understanding of the body-mind and what might need conscious attention. Each energy center is also associated with a color as well as with a basic element such as earth or water. I recently learned that the spiral is especially associated with the heart, because blood flows through our arteries, veins and capillaries in a spiraling motion. Charles Eisenstein mentions this in chapter 12 of his book, "Sacred Economics," and I confirmed it via several articles. See, for example, "The Heart is Not a Pump" at the Rudolf Steiner Research Center. One of my major teachers, Joseph Chilton Pearce, explores the heart and its spiraling energy fields in detail in his most recent work, and I look forward to studying it. Note too, that the spiral is the shape associated with growth. This points to the heart as the center of our overall growth as individuals. Paradoxically, our growth thus depends on our relationships. Or, as Eisenstein would put it, we are relationships. Back when I was a graduate student in psychology, I remember asserting something like this to one of my professors. It seemed like a wild idea way back then! Since then, Carolyn Myss has written many books and made many audiobooks on spirituality, health and creativity. 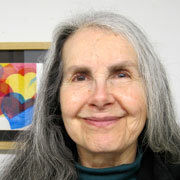 Many of her works deal directly with the chakras and healing. I’ve listened to quite a few of her audiobooks while painting or while on long walks, finding them illuminating and encouraging. When I want insight into a physical symptom, I often consult another of her classic books, “Anatomy of the Spirit,” which covers all seven chakras. One of my favorite guided meditations also integrates chakra healing. 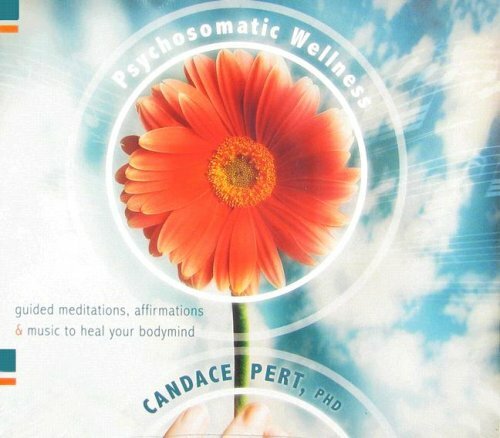 It’s Candace Pert’s “Psychosomatic Wellness.” Isn’t that a fabulous title? Before you order this for yourself, though, listen to a sample to be sure you can hear Pert’s voice clearly. I can hear her just fine, but two of my friends just cannot make out what she’s saying. There’s something about her voice range that doesn’t work for everyone. Mary Kretzman has written an interesting commentary on Psalm 23. Inspired by some comments by Swami Kriyananda, she created a healing visualization based on the psalm. Her commentary includes a link to a free audio version of this visualization. Since it's natural to ask about the symbols that appear in some of my heart paintings, I began writing this series of short articles about them. A few of the symbols are runes -- for example, the angular S shape for "wholeness, life force." Mainly, though, I've used the five universal shapes explored so well by Angeles Arrien. 1 - "The Five Universal Shapes"
2 - "The Preferential Shapes Test from Angeles Arrien"
3 - "Angeles Arrien and the Tarot"
Coming next: "Art and the Five Universal Shapes"
I may also add a fifth article relating the five shapes to the "five portals" used by neuro-psychologist Mario Martinez. I've already written a draft about his work and plan to get his feedback on which portal is most naturally associated with which universal shape. Of course, feel free to weigh in now with your own opinion if you know his work! As always, your questions and comments are welcome here.